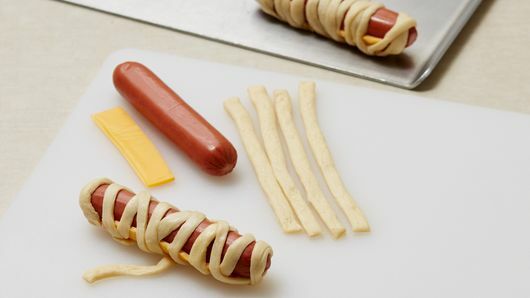 Try a mini version with cocktail sausages. It’s official—Americans love hot dogs. According to the National Hot Dog and Sausage Council, Americans eat approximately 20 billion hot dogs per year, meaning about 70 hot dogs per person. That’s a lot of hot dogs. 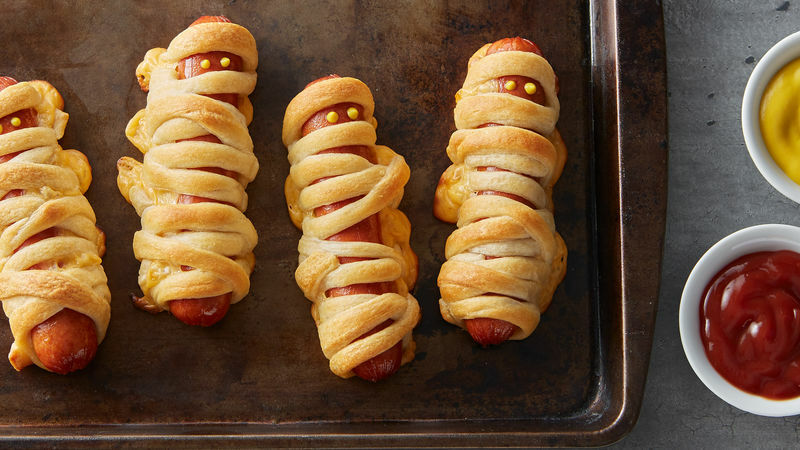 These adorable crescent-wrapped mummy hot dogs are a great dish to serve during the spookiest season of the year. Halloween traditions were brought to North America by immigrants from Europe who would commonly celebrate the harvest around a bonfire, share ghost stories, sing, dance and tell fortunes. Mummies first became associated with Halloween due to their roles as monsters in Hollywood horror movies. So, what better to excuse to bring together two great American traditions into one meal? 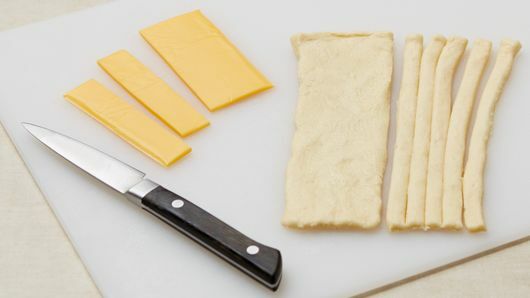 This recipe makes 10 servings and can be made in less than an hour. 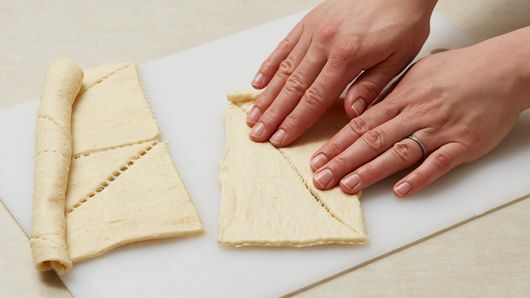 Never run out of yummy meal ideas, no matter the holiday, by browsing all of our best dinners you can make with a can of crescent rolls.